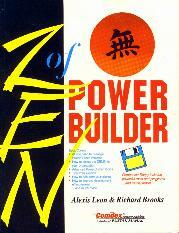 There are a large number of books that teaches PowerBuilder. Books that will help one in understanding the PowerBuilder application development environment, the various methods to design and develop applications, tips, tricks and short-cuts of application development, etc. The same could not be said about books which deal with the management side of PowerBuilder application development. Topics and issues like how to manage a PowerBuilder project, how to improve programmer productivity, how to deal with the users, how to improve development effectiveness, etc. This book is aimed to fill that void. This book is not for beginners. This book is for the PowerBuilder professionals who knows their craft. This is for the project managers and project leaders who will be leading teams of high caliber PowerBuilder professionals. This book will be useful for the managers and decision makers who will have to take decisions regarding their organization’s IT infrastructure. This book contains practical tips, useful suggestions, productivity improvement methods, concepts and methodologies, etc. which any PowerBuilder professional will find useful and handy. It also contains articles of some of the best minds in the IT field.